In our churches and ministries today, there is a growing need for committed and spiritual lay leadership to assist the clergy in shepherding the crowd. All Christians are called to serve in the ministry of Christ with the unique gifts they have been given by the Creator. While the clergy has their unique calling, in the rank and file of the laity, there is a tremendous reservoir that is left untapped as the church fails to foster each member’s skill set and equip them to access their full spiritual potential. This book seeks to develop a replicable model that will increase involvement of these members in the various ministries of the church. With a clear and replicable action plan, Dr. R. Evans Yancy addresses the issue of inactivity among church members and urges others to join him in his mission to enlist dedicated, committed, and equipped laity to assist with the challenges and burdens of their congregations. Christians should not miss the opportunity to lead the world in honesty, integrity, fair play, and justice. 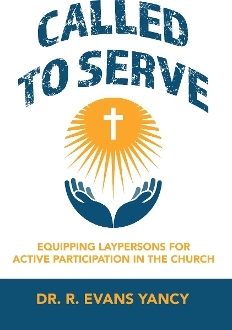 Both clergy and lay members must work together to fulfill the tenets of the Great Commission and bring new disciples to the Lord and Savior Jesus Christ.